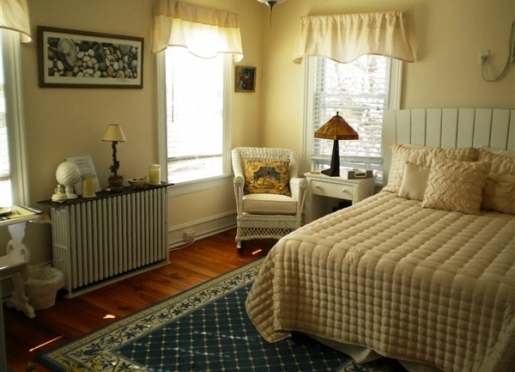 Special deals and packages at The Stirling House bed and breakfast inn located in Greenport, New York. This is the perfect gift for that special couple you know and love that are hard to buy for. This is for people who appreciate the very best things life has to offer - world class wines, fine dining, and having all the details taken care of. This Gift Certificate will gain entry into the celebrated Vine Time getaway package, Long Island Wine Country's premiere wine and food event. All meals, wine tastings, VIP tour with transportation, premium lodging, and more are included. This is the perfect gift. Celebrate your visit to Long Island's Wine Country with a premium North Fork wine! The Stirling House is licensed to serve and sell our guests wine on premises. 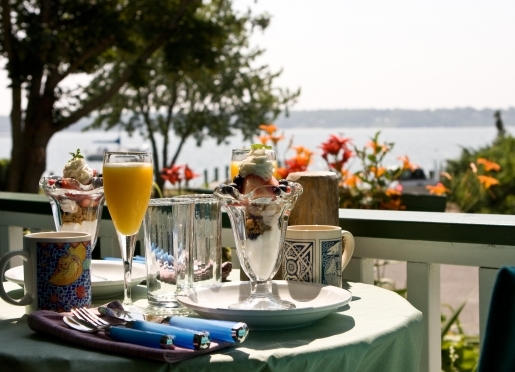 In fact, we're the only bed & breakfast on the North Fork (unattached to a restaurant or winery) who can do so! We can customize a wine package to meet your needs. Surprise your loved one with a chilled bottle of Long Island's best white or sparkling wines, or enjoy one of our wonderful reds! We can provide cheese and crackers and other goodies to complement your choice. What better way to enjoy yourself than to indulge in a delicious wine on our water view front porch? Ask about our wine list when you make your reservation and let us create a Wine, Cheese and Cheer package for you! Vine University Wine Making All-inclusive Getaway - Gift Certificate for two. Your all inclusive stay includes: a 2 night stay at the luxury waterfront inn of Long Island, all meals (including 2 top area restaurant dinner for 2, two gourmet full breakfasts and a gourmet lunch), 2 day wine making class, wine making kit with enough juice to make 2 1/2 cases. Exclusive discount card to over 40 local area businesses. The perfect gift for that wine lover.